Back to school is a very busy time for everyone! The kids are exhausted from getting back into a long day of structure and then all the fun after school stuff that starts up and moms and dads are exhausted from trying to keep up with a very busy family. We usually have more time on the weekends to sneak in more cooking. So I like to think about easy casserole recipes that I can double up on and save for later. 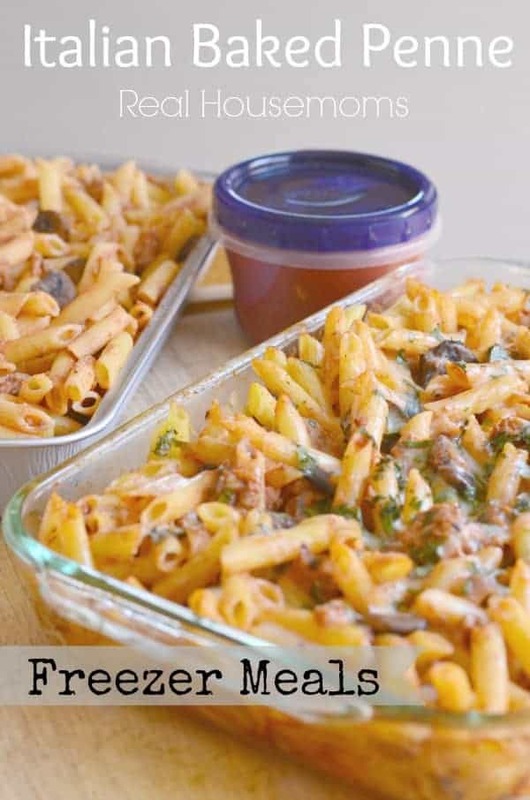 This Italian Baked Penne is the perfect freezer meal. It takes the same time to make two as it does to make one so….. make two and freeze the second for later! I’ve even bought a throw away 13 x 9 pan so that I don’t have to worry about one of my baking dishes being stuck in the freezer if I needed it for something else. What’s even better than that you ask? The sauce makes so much that you’ll even have some of that leftover to freeze and have a quick and inexpensive spaghetti night. There are always those nights where I have planned dinner and something comes up or runs late and my plans are out the window! Instead of ordering out or singing through the drive-thru I can grab my spaghetti and have dinner on the table in no time. I love that I made it and I know everything that’s in it. This came together in 30-40 minutes and then I had two pasta bakes ready for the oven and freezer and 2 cups of pasta sauce ready for the freezer. Don’t forget to enter the #BacktoSchoolWeek Giveaway!!! 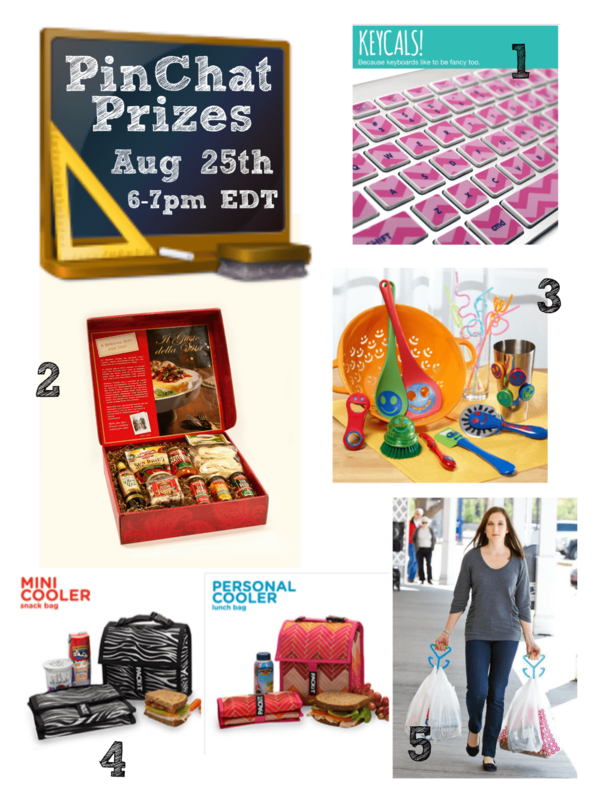 There are so many amazing prizes to help make #BacktoSchool more fun. This recipe makes enough for two pasta bakes, one for dinner right away and one to freeze for those nights you just don't have the time. Plus, you'll have two cups of pasta sauce leftover you can freeze for later too! I love pasta, and I especially love quick meals!